There's nothing quite like a local Derby, whether Football or any sport but especially Boxing, to get the fans salivating and when it's an all Merseyside clash it is without doubt the most mouth-watering of them all. 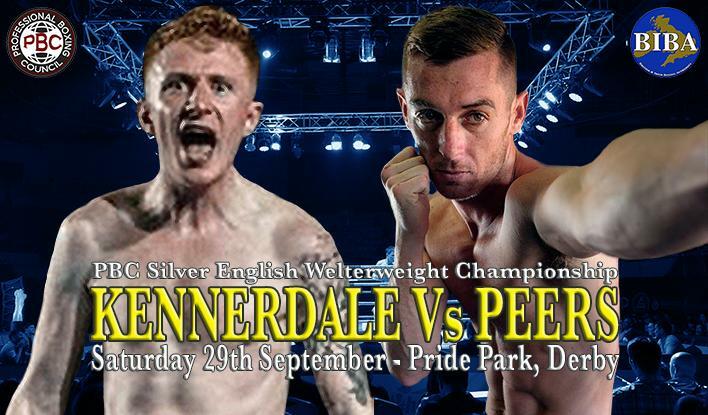 Adding extra spice to the contest, if being a Merseyside Derby wasn't enough; there will be a Title Belt at stake, the Professional Boxing Council (PBC) Silver English Welterweight Championship. Speaking from his new home in the Orkneys, Peers made it clear he wasn't just coming to make up the numbers. "I'm really looking forward to this fight, it's one that could and should have happened last year. "We're both from Liverpool, there's no two ways about it the depth of talent in the city is growing all the time. Liverpool has produced so many Champions over the years, everything from English to World Champions, hopefully after the 29th my name will be added to the long, long list. "I have every intention of boxing at my very best as I try to win this English title, as will Craig. "I've seen that Craig is right up for this, he looks even faster now than when I see his training videos. That shows he’s fit and he’s ready, which makes for a good fight, as so am I. "It will be storming fight, expect fireworks on the night, there's so much a stake, not just bragging rights, I want that belt around my waist."